Still trying to get to the weekend. Still have today to get through. I'll make it, but it's still seemingly taking forever. A quick pick-me-up is required. Fridaaaaaaaay! Woo! It's almost time to get out there for the weekend and get our gaming on. Just gotta finish up around here and then head out. But, before we do that, we should get some scrumptious, bite-sized gaming stories in our tummies. Today on the platter we have: Art of War Studios Releases Guild Ball Tokens and Templates, Dynasty Porcelain Dice Up On Kickstarter, Buy 3 Get 1 Free Sale Happening This Weekend at Kraken Dice, Hell Hath No Fury Fantasy Miniatures Up On Kickstarter, and Tabletop Fantasy Miniatures by Ana Polanscak Up On Kickstarter. As-expected, the week is just shooting by. Being super-busy will do that to you. I've got a lot more to do, so I'd better nosh on some bite-sized gaming stories. Today on the platter we have: Dragons of the Red Moon Up On Kickstarter, New Pulp Inc Paper Miniatures Available From Okumarts Games, New 15mm Baggage Available From Baueda, MidKnight Heroes Running Super Chibi Villains Kickstarter, Kraken Dice Releasing Peach Bellini Taffy Dice Set Tomorrow, and King Games running Dunkledorf Fantasy Townsfolk Miniatures Kickstarter. Halfway through this incredibly busy week for me. Just gotta keep chugging along. To help, I'm snacking on some bite-sized gaming stories. 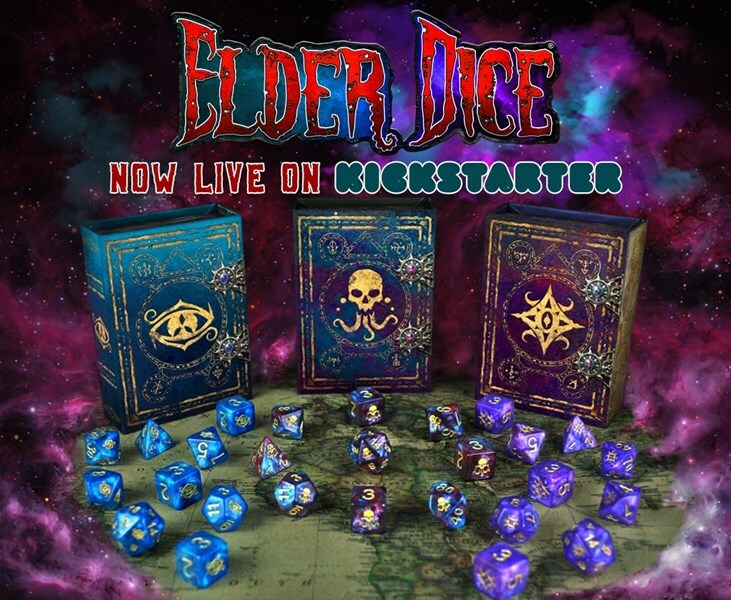 Today on the platter we have: Elder Dice:The Colors Out of Space Kickstarter Happening Now, Legendary Metal Coins back on Kickstarter for the 4th time, and Kraken Dice Releasing Eternal Enchantress Dice Tomorrow. Hello, and welcome to Friday. We're glad to have you here. I'm certainly ready for the weekend. As we make our way to a glorious pair of days off, let's snack on some bite-sized gaming stories. Today on the platter we have: New First Order and Resistance Dial Upgrade Packs for X-Wing From Fantasy Flight Games, New Samurai Heads Available From Puppets War, and President's Day Sale Happening at Kraken Dice. It's time for another TGN Review. 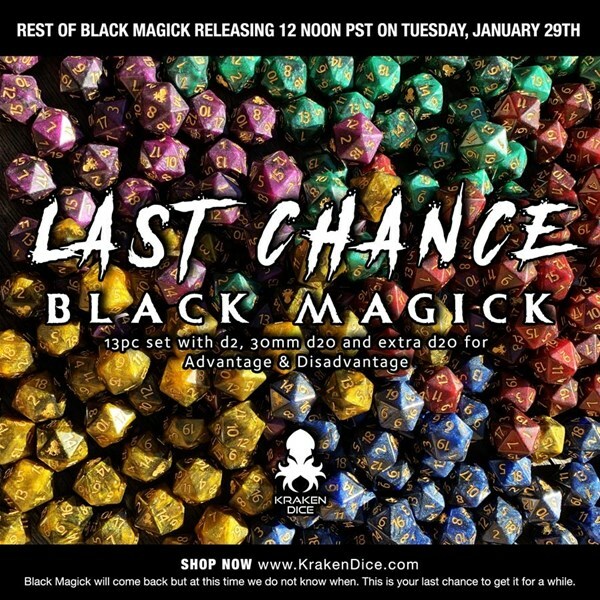 This time around, it's Kraken Dice's Black Magick Dice Sets. Fridaaaaaaaay! I know I'm excited. Despite being a short week, it's certainly felt like a full-length one, if not even longer (your own NSFW joke goes here). I've got some gaming to look forward to tomorrow. So you know I'm excited. Hopefully you have your own gaming planned. If you're gonna be gaming, you don't want to be hangry. So let's set you up with some bite-sized gaming stories to nibble on. 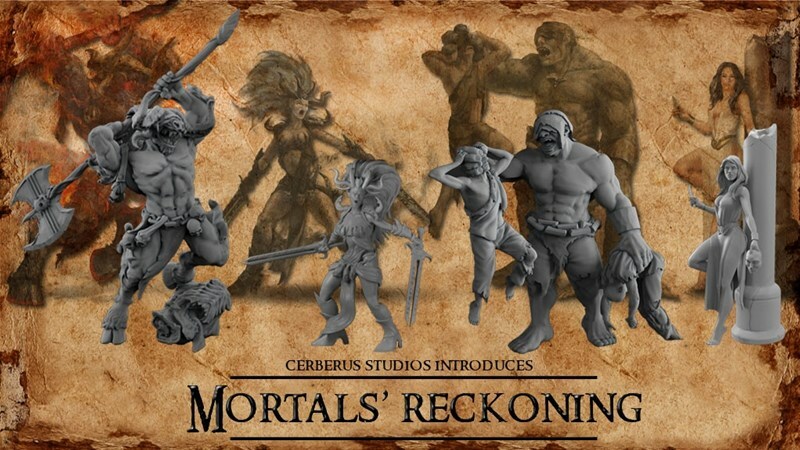 Today on the platter we have: Limited Edition Kershaw Miniature Available to Order From Steamforged Games, Deep Ones of the Powell Darks Fantasy Miniatures Up On Kickstarter, Deep Ones of the Powell Darks Fantasy Miniatures Up On Kickstarter, and Last Chance for Black Magick Dice Coming Next Week. No longer Friday Eve, we've moved into Friday proper. Congratulations, everyone. You've made it through the first full week of 2019. *celebration* I hope it didn't go too badly for you. It was busy AF for me. So I'm looking forward to a nice, relaxing weekend. What sort of stuff do you have planned? I plan on noshing some bite-sized gaming stories, myself. 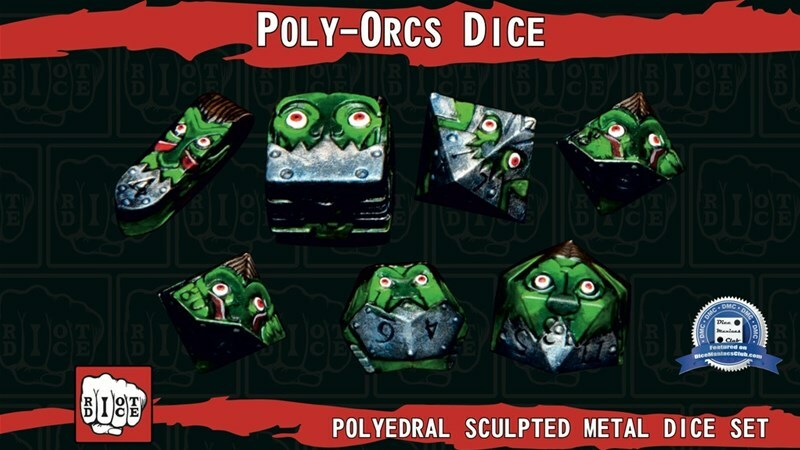 Today on the platter we have: New Releases Available From Puppets War, New Tufts and Pre-Painted Bases From Deep-Cut Studio, New D6 and D10 Metal Die Sets From Kraken Dice, and Poly-Orcs Metal Dice up on Kickstarter. We're getting closer to the end of the year. It's practically here. Lots of celebrations will be going on, and with them will come plenty of snacks to eat. In this instance, we're getting you some bite-sized gaming stories. 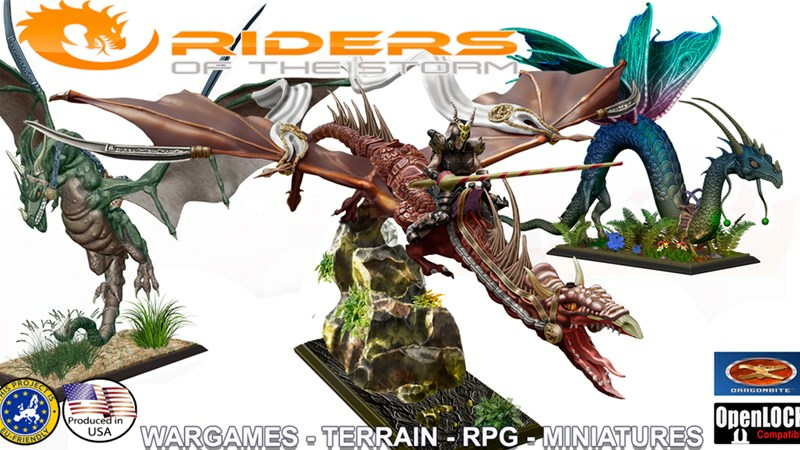 Today on the platter we have: More Lizard City Bases Available From Tabletop-Art, DreamForge Games Grav-StuG Kickstarter Coming January 25th, New 54mm Barbarian Available From NonsenseMiniatures, and Kraken Dice Buy 3 Get 1 Free Sale Happening Now. So, while my apartment shakes and rattles from the earthquake we apparently just had, it's a good time to get some snacks in the form of bite-sized gaming stories. 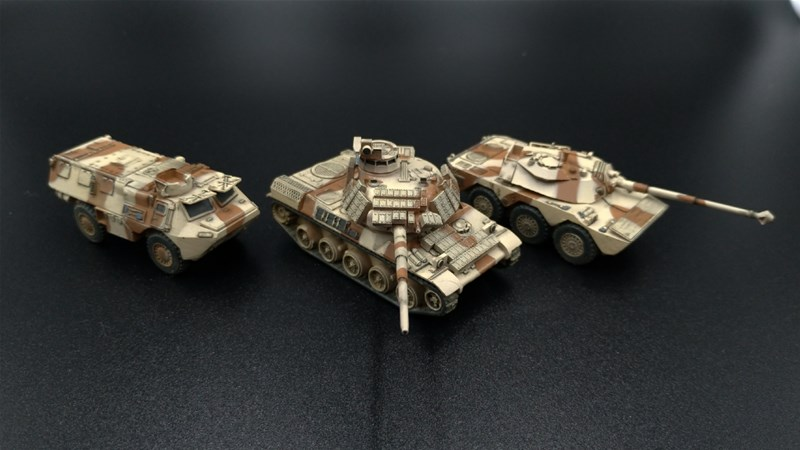 Today on the platter we have: Skwadmarx Base Clips Now Available, Paladin Jean de Bouvre now on kickstarter, New Stone Slab Bases From Tabletop-Art, and Factory Rescue Dice Sale Happening at Kraken Dice. I know that I just got back into the regular swing of things again, but I'm already ready to just take a couple days off. My weekend will be spent gaming, but of the video variety. Hey, I'm allowed. But while I crunch those 1s and 0s, I'll be needing to snack, and having some bite-sized gaming stories in my tummy will be awesome. Today on the platter we have: The Mighty Exo-Armoured Dwarves 28mm scale miniatures up On Kickstarter, Lizard City Bases Now Available From Tabletop-Art, Ophidian Menace Fantasy Miniatures Up On Kickstarter, Baueda Releases New 15mm Forest Bases, Riders of the Storm Fantasy Miniatures Up On Kickstarter, and Kraken Dice Releasing Kelpie Dice This Evening. Yeah, I am sure I've used that before, but I love Ice Bear, so there we are. Anyway, it's the middle of the week. Halfway back to the weekend. Then, Gaming. Or, at least, I hope that for everyone. In the meantime, Snacks. 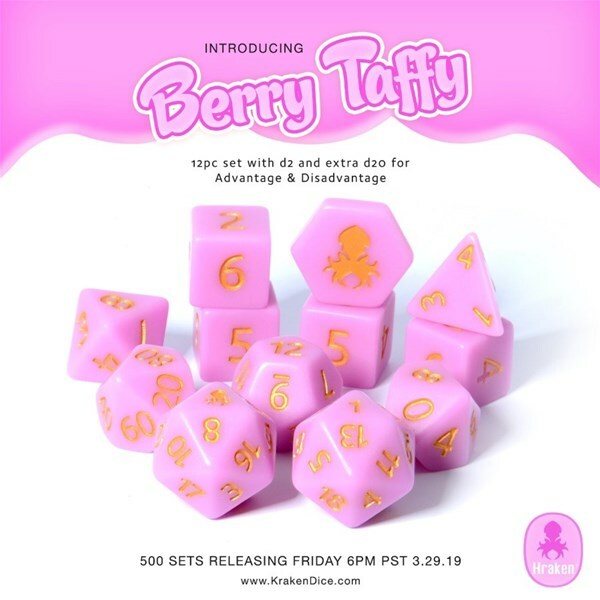 Today on the platter we have: Kraken Dice Releases Nightshade Set Tonight, The Little Soldier Company Releases Tenoch Lizardmen, Saddle-Goose Designs Releases Cthulhu Dice Bags, Single Metal Mystery Bags and Buy 3 Get 1 Free Back at Kraken Dice, and Impact! 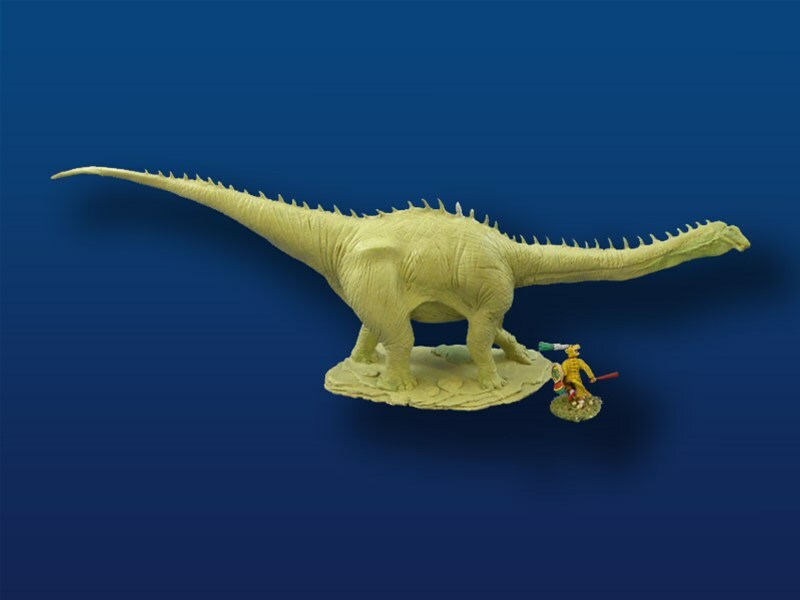 Miniatures Running Dice of Unusual Size Kickstarter. Mmmm, Friday. I don't know about you, but I'm planning on relaxing this evening with some pizza and maybe put together some models. Maybe play some Sims 4. 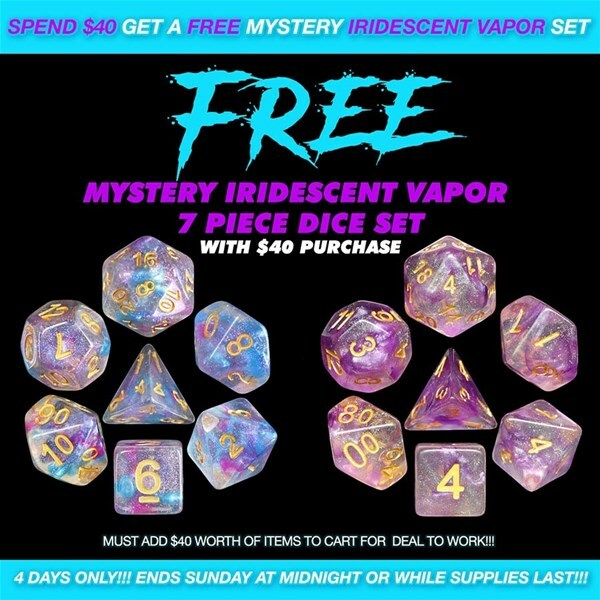 Then, tomorrow, go play D&D most of the day and then just hang out with friends afterward. I hope your weekend is just as good as mine is shaping up to be. But before we get there, let's nibble on a couple bite-sized gaming stories. 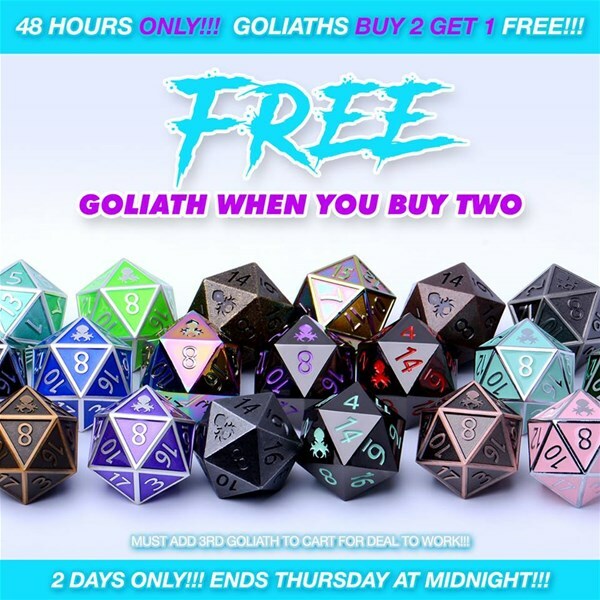 Today on the platter we have: Kraken Dice Buy 3 Get 1 Free Sale Ends This Weekend and New SF Roman Praetorian Centurion Available From Scibor. We're halfway there, folks. Halfway back to the weekend. Woo! After this, it's just that slide downhill. 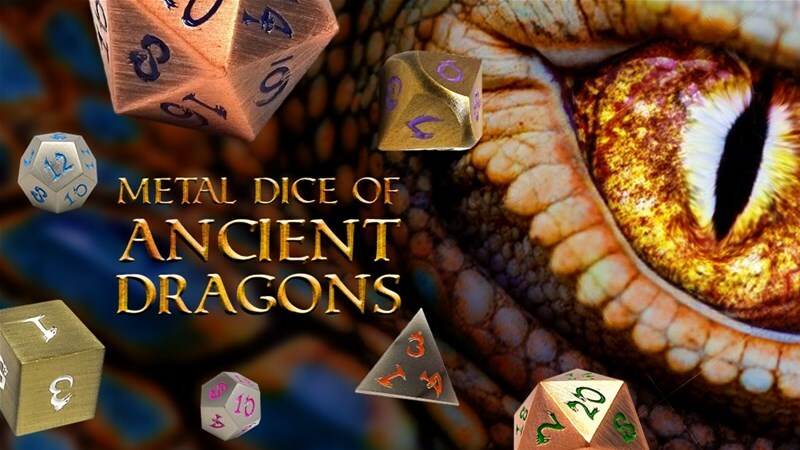 I've got D&D coming up. I'm ridiculously happy about that, as I'm hoping we can finish off the story arc we're currently on. Not that I've disliked the arc, of course, just that it's hitting a climax point and it'll be nice to move on to a new adventure. You don't become an adventurer to stay just in 1 town for your whole career, after all. So, as I get prepped to take over a town because they were allowing an underground slavery ring to operate there, I should make sure I'm well-fed on bite-size gaming stories. 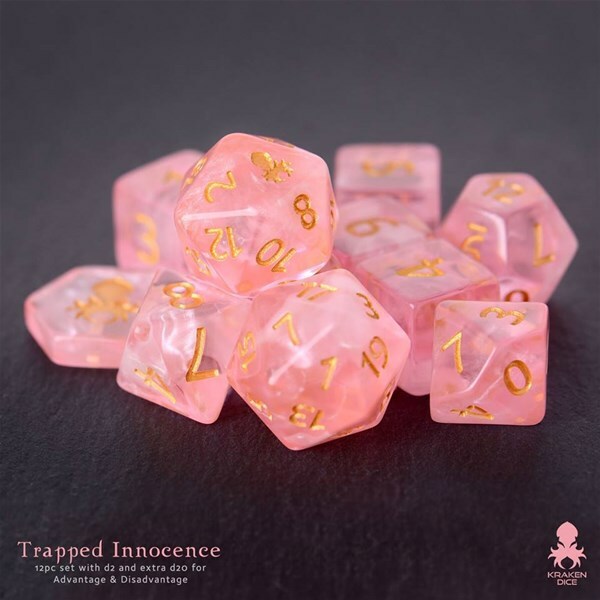 Today on the platter we have: Roll 4 Initiative Diffusion Dice Up On Kickstarter, Kraken Dice Releasing Trapped Innocence Dice Today, Talk Wargaming Teaches Us About Airbrushing, Impact! 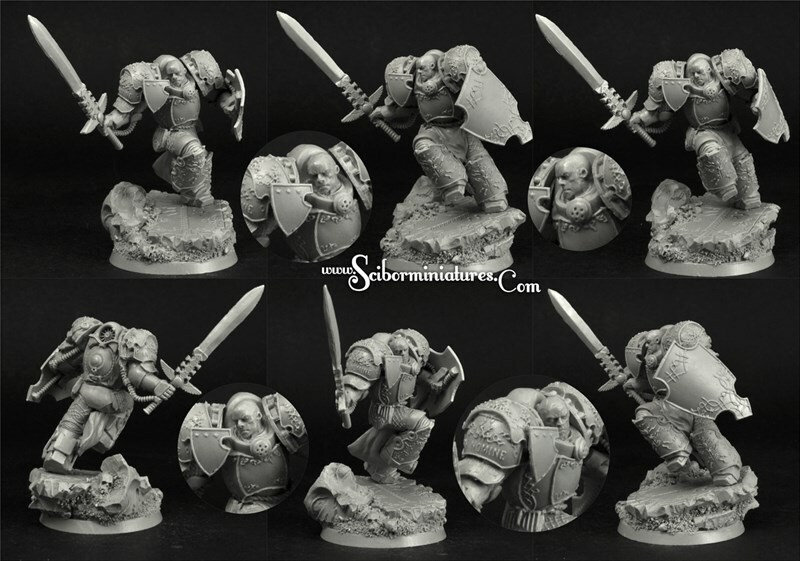 Miniatures Presents: The Lost KS Mini Project, and New Dwarves Available From Scibor Miniatures. We're halfway through the week. I hope your first half has been good, and your second half is shaping up to be quick so we can get back to the weekend and do some gaming. You should also stay well-stocked-up on bite-size gaming stories. 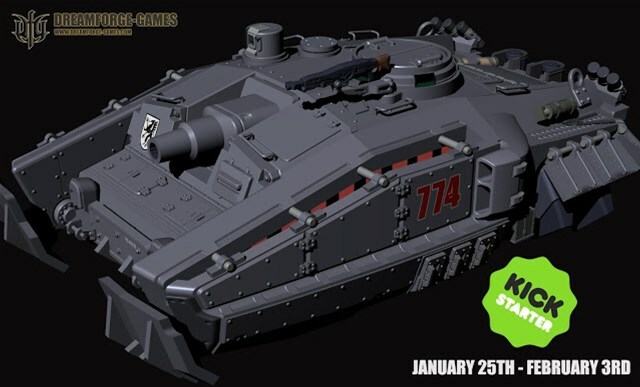 Today on the platter we have: Secret Weapon Miniatures September Releases Available and Sale Happening Now, New Releases Available From Dark Sword Miniatures, Pirates of the Undead Seas Miniatures Up On Kickstarter, 5 New Releases Coming From Kraken Dice, and Friends & Foes 5e Monster Cards Up On Kickstarter. We're already at Wednesday. (Wednesday is spelled incorrectly - Demetri Martin) I don't know about you, but at least the first couple days of the week have gone by quickly for me. Today's usually the longest day of the week, then we slide our way back to the weekend. And, of course, we need to dine on some bite-sized gaming stories. 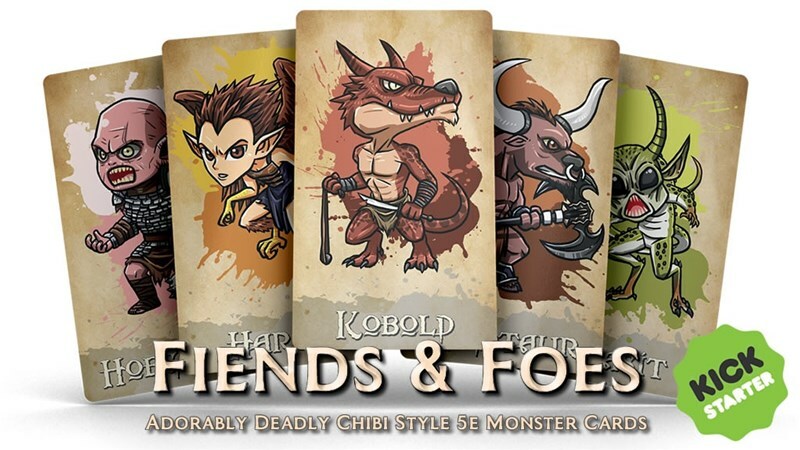 Today on the platter we have: Kraken Dice Previews New Releases, Shieldwall Shields for Miniatures Up On Kickstarter, YFT Designs Back To School Sale, and Acheson Creations Masters for Sale.